I didn’t grow up in the mountain paradise that is Park City. I’m a “flown in, not grown in,” but don’t anyone tell me I don’t love this little town as much as its native sons and daughters. I grow a little more enamored each day just looking at the mountains from the grocery store parking lot, hearing wild stories from the old timers holding court at the No Name and visiting the veritable museum that is John Whitley’s garage. 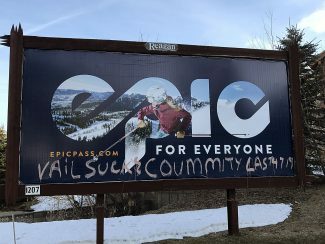 I haven’t been here long enough to be jaded, and my heart breaks every time I hear someone lament, “Park City isn’t what it used to be.” What is? While I cherish anecdotal versions of Park City history, it is the verifiable accounts and irrefutable data that drive my conclusions. I have been objective and diligent in my research. Through it and my personal experience with the candidates seeking office, I have come to evaluate each man based on his own merits, accomplishments and character. I have attended every 2017 mayoral forum and been struck by the difference in the candidates’ rhetoric. One offers nuanced insight into our City’s clean energy future, economic landscape, housing scenario and balancing the many external pressures on this place where so many want to work, live and play. The other waxes nostalgically about his own administration and publicly contradicts public and private statements with a loose grip of the facts, prompting challenges from moderators and audience members alike. So, I took to my own fact checking. Dana Williams initially reported varying numbers, from 400% to 600%, as his open space increases over predecessor Brad Olch. His most recent claim is a 350% increase. I calculate Dana’s open space purchase increase at 13.45%. The increase itself is laudable, so why the need for hyperbole? For the sake of transparency, I presented my detailed analysis online, posting spreadsheets and formulas for public consumption. Instead of providing any evidence to refute my calculations, Dana characterizes the resulting public discourse as “toxic.” Unfortunately, this is consistent with his admittedly hazy stance on Park City’s most important issues. Dana uses exaggeration to embolden the very millennials and workers his lack of action on affordable housing has disadvantaged, while he offers empty promises to our Latinos that he can affect policy change at the federal level. This type of engagement is not “about us.” Conversely, it is misleading people to unrealistic and unmet expectations that risk dividing our community. In choosing to run for public office, candidates invite public scrutiny. It is the community’s duty to question candidates and demand honesty, accuracy and integrity. And when it is lacking, it is not the earnest investigators who should be called nasty; it is the candidate who should be held accountable. Andy Beerman is a man of integrity. His consistent words drive consistent action. What he says in private is exactly what he says in public. He has earned the respect of numerous colleagues and peers, many of whom having had the opportunity to work with both Dana and Andy, enthusiastically endorse Andy. We don’t have to re-elect a past mayor to honor his service. We can do that as friends. 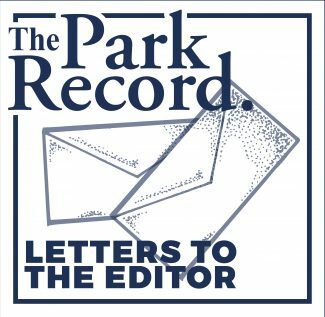 At this point in Park City’s ever evolving story, I implore voters not to cast votes based on nostalgia, friendship or rosy colored versions of history, but rather to choose the candidate whose years in office align with measurable and verifiable open space increases, affordable housing gains, transportation improvements and sustainability achievements. Vote for the one who offers honest talk and meaningful action. Vote for Andy Beerman.